Xela, the thankfully short name for the tongue-tickling “Quetzaltenango”, is the second largest city in Guatemala, behind Guatemala City. Much of the city centre population is gringo, here to take advantage of the town´s many Spanish schools and DVD-cafes. For us, the town had little to offer except a nice social base at the “Black Cat” where we stayed. 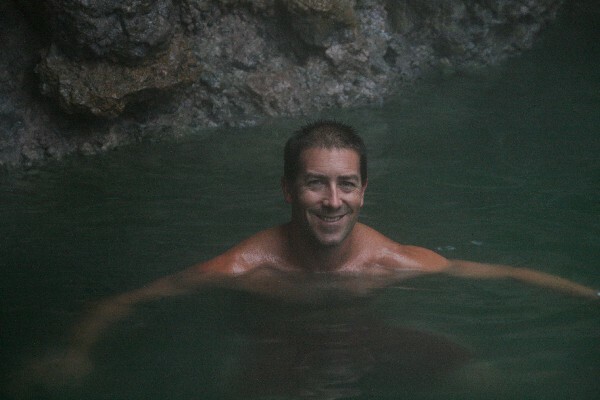 We ventured to some hot springs called Fuentas Georginas. This we did with Adrenalia Tours, forwarned that unscrupulous locals would over charge for the trip up the last winding road to the steaming rocks. We didn`t get to enjoy the views that others did, but we got to bathe in hot rock pools surrounded by looming misty forest. The water dripping directly off the rocks was hot hot hot, and we took advantage of loose powdery volcanic rock to exfoliate! It is a popular spot for locals too. 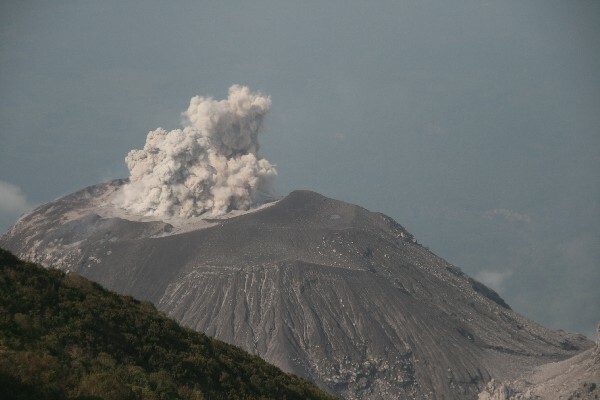 The next morning, we set off with Alaskan Mariah to see the Santiaguito volcano, which dutifully erupts on the half hour. 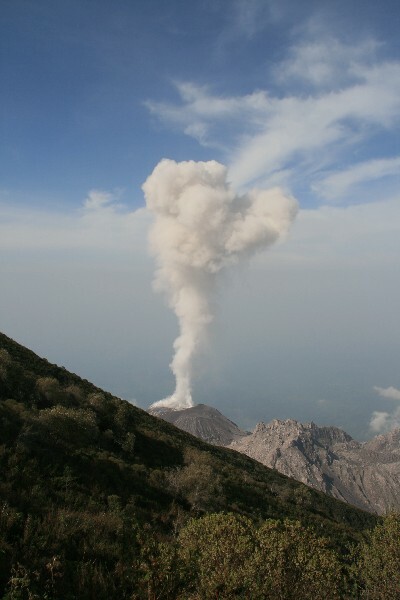 This is no small puff of smoke we were told, but a true mushroom cloud of steam and smoke. We took a taxi to the starting point at a village 5km away from Xela. Then we started upwards. Despite having reasonable directions and asking several locals, we failed to find the correct spot! We gave up having climbed within an hour of the top of Santa Maria, a towering volcano over 3000m high. We were just trying to save a few euros by not taking a tour! 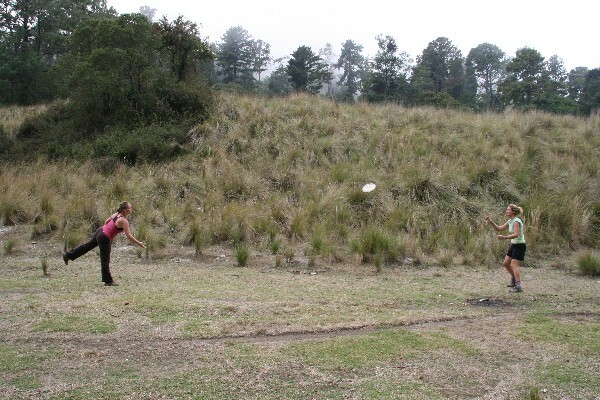 However, we enjoyed the hike, and even played a little frisbee on the only flat spot in Guatemala. Cathal actually managed reach the volcano after our weekend hike to Tajamulco – he heroically got up at 5am with fellow volcano hunter Christiaan, and after several gruelling hours of hiking, hiring a local guide, leaving trails of toilet paper and getting lost in the mist several times, they got to see the steaming monster!